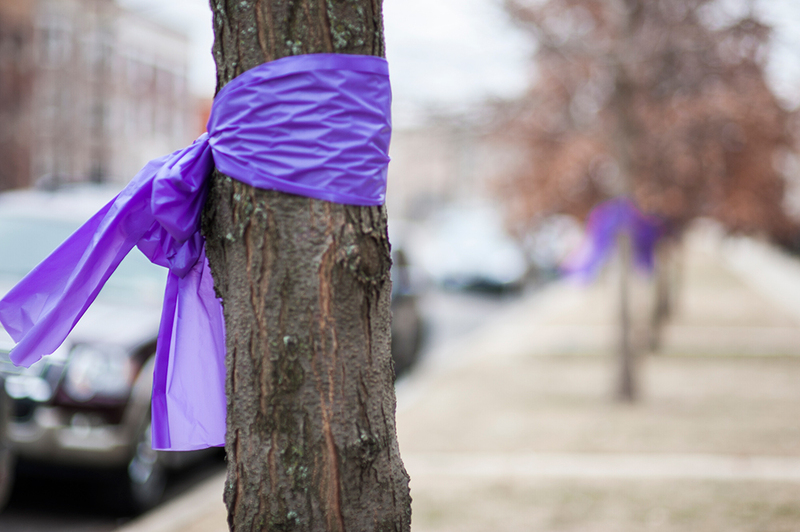 A tree is decorated with purple ribbon to honor the memory of Hadiya Pendleton, 15, a honor student who was shot to death in January 2013 while taking shelter from the rain under a canopy at a North Kenwood park. 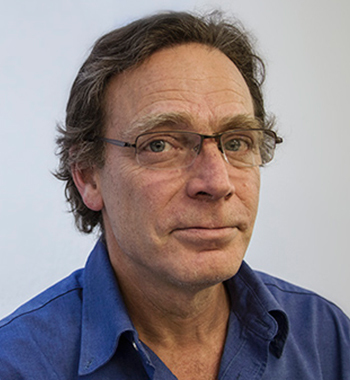 On PBS recently, sociologist Lance Williams of Northeastern Illinois University was asked about violence on the city’s South and West sides. He blamed it on “very, very bad public policy” dating to the early 2000s – specifically the Renaissance 2010 program, which broke up neighborhood schools and left many young people afraid to go to school if it meant traveling outside their own community. Those disconnected youth today “don’t have life prospects, they can’t get jobs,” and that’s driving a lot of the violence, Williams said. The host didn’t seem to get it – at least not to the point of asking a follow-up question. But the fact is, while violence is rooted in race-based economic disenfranchisement – and while our mayor evades responsibility for the harmful effects of national policy disasters he promoted, and once again blames poor families – the impact of a range of bad policy decisions has clearly made things much worse. Those include the dispersal of public housing residents to far-flung (poor, segregated) neighborhoods, as well incarceration rates that remained high here while they fell elsewhere. But school policy is right up there as a driver of violence. Time and again the mayor and school officials have ignored parents’ warnings about the risks of closing and consolidating schools, and as a result, fear of bodily harm is one of the top reasons many young people stop going to school. Indeed, a bad school decision could be a factor in the tragic shooting death of Hadiya Pendleton, a young woman full of promise like so many gun violence victims. Two young men are now on trial, charged with her murder. If prosecutors are correct (defense attorneys are sharply contesting their case), that shooting resulted from tension between two gang factions, the 46 Terror and the SUWUs. According to community organizers, those two cliques came into being when students from two neighborhoods were thrown into one school by an ill-advised school consolidation while Arne Duncan was CEO of Chicago Public Schools. Violence is exacerbated because decision-makers consistently ignore “the wisdom of the community” … underlying this disregard of the community is racism. In 2007, CPS decided to take two Bronzeville elementary schools and redistribute their students: Jackie Robinson at 4225 S. Lake Park would take students from the entire area through third grade, and Price at 4351 S. Drexel would become a grade 4-8 school. Parents consistently warned of a rivalry between kids from the two neighborhoods, but CPS went ahead. The parents were right. Arguments and fights became common at Price. Suspensions and expulsions increased at the school, according to Jitu Brown, then education organizer for the Kenwood Oakland Community Organization, now national director of Journey For Justice, an education equity organization. Brown organized a parent patrol to make sure kids got home safely, and KOCO brought a mentorship program into Price. Price was closed in 2012 for “chronic academic failure,” and some of the families affected by that closing are now going through the same thing at National Teachers Academy. Pendleton died in 2013. Duncan now works for a multi-million-dollar anti-violence initiative. Brown recalls when the original Englewood High School was closed in 2005. He was serving on the local school council at Dyett High at the time. “At Dyett, at Hyde Park High, and Robeson, at Hirsch, there was a major spike in violence,” he said. Violence is exacerbated because decision-makers consistently ignore “the wisdom of the community,” Brown said. There are no policy structures that meaningfully involve the people suffering most from gun violence and school closings, as the charade of “community engagement” makes clear, with a school board controlled by the mayor consistently ignoring testimony at public hearings. Decisions come from the top down. Underlying this disregard of the community is racism, as Brown notes. It also underlies a narrative that ignores the harm done by policy failures and systemic inequity and blames parents and communities for street violence or “failing schools,” and suggests that “something is wrong with black children,” he said. School closings that put students at risk, South Side schools lacking arts programming or even librarians, the proliferation of mediocre charter schools in communities of color, and capital spending focused heavily on North Side schools are all part of the pattern. The goal is “to push black people out of Chicago,” Brown said, and it seems to be working. Emanuel’s policies on education and development show that he wants to grow Chicago’s “zone of affluence” and shrink working-class communities of color. Tragically, black Chicagoans are paying the price toward this end. The recent sales of four vacant schools to private school operators could stir more competition for the public school system as school choice initiatives gain support in the state and nation. Read or listen to an interview with veteran organizer Bill Ayers about the election of Donald Trump and his advice to activists today. Studies on previous attempts to give principals greater autonomy in both Chicago and New York City found they had little impact on student achievement. “Growing the zone of affluence” and getting rid of the “undesirables” is clearly the Emanuel types are trying to do. The problem is that it is impossible on it’s face. There are not enough affluent people to go around. It’s simple math. The middle class has disappeared and there are absolutely not enough people making $200,000+ to occupy the areas Rahm would like to gentrify. But stupidity and injustice never stopped his type before so I guess they will continue in their ways.